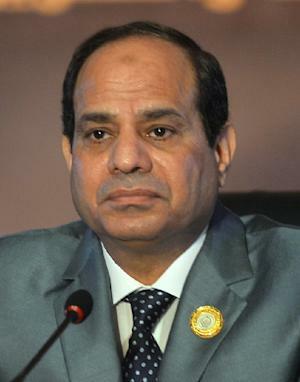 Cairo (AFP) – Egyptian authorities have unleashed a “reign of terror” against opponents of President Abdel Fattah al-Sisi, a prominent academic who was recently sentenced to death told AFP in an interview. 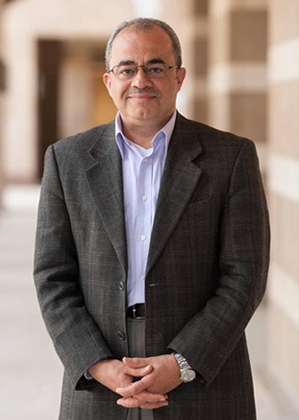 Emad Shahin, who fled Egypt in January 2014 and is a visiting professor at Washington-based Georgetown University, was handed the death penalty on Saturday in his absence with 15 others on charges of espionage. “Such a verdict sends a message to the Egyptian people in general that the reign of terror continues and that it is extremely risky to oppose that regime,” said Shahin, 57, referring to Sisi’s government. “I can’t say I was shocked, because of the rate of sentences handed down by the Egyptian judiciary… anything was expected,” Shahin, who has previously taught at Harvard and Columbia universities, said in a telephone interview. Shahin and 35 co-defendants, including ousted Islamist president Mohamed Morsi, were accused of spying for foreign powers, the Palestinian movement Hamas and Shiite Iran between 2005 and August 2013 to destabilise Egypt. 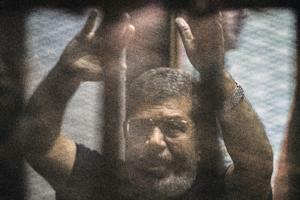 Morsi, 64, was also sentenced to death on Saturday along with more than 100 others in a separate trial for their role in a mass jailbreak during the 2011 uprising that toppled longtime autocrat Hosni Mubarak. Morsi, Egypt’s first freely elected leader, is due to be sentenced on the espionage charges along with the other 18 defendants on June 2. Sisi, then army chief, toppled Morsi in July 2013 and has since overseen a brutal government crackdown targeting supporters of the Islamist. Hundreds of Morsi supporters have been killed in street clashes, while thousands more have been imprisoned, and many more sentenced to death after speedy mass trials described by the United Nations as “unprecedented in recent history”. Rights groups accuse Sisi of installing a regime that is more repressive than that of Mubarak. “Sisi has based his raison d’etre on eradicating the Islamists, the opposition, and eradicating the genuine January 25 revolution and those who supported it,” Shahin said, referring to the anti-Mubarak uprising. “Unfortunately the West thinks they can still appease autocrats and repressive rulers,” he said, warning the approach would “backfire”. Hours after the verdict against Shahin, his former students and colleagues at the American University of Cairo launched a campaign backing him on social media networks. Egyptian human rights defender Heba Morayef described the sentence as “grotesque”. 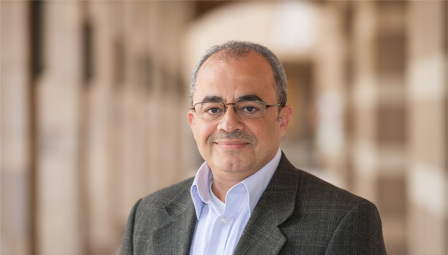 Ashraf El-Sherif, a professor at AUC who has known Shahin since 1998, said: “He is a democrat who believes in human rights, pluralism, and including moderate Islamists in the political process. That doesn’t necessarily mean that he is an Islamist himself. “He is an independent who opposed Mubarak’s regime, supported January 25, opposed the Supreme Council of Armed Forces, and was even critical of Morsi himself,” he said. Shahin said he had never advised or met Morsi “officially or unofficially”. “Morsi and the Muslim Brotherhood could not understand the nature, dynamic and depth of the Egyptian state. They were not revolutionary enough, and wanted to reform the state from within, so it devoured them,” he said. Shahin said he feels that his name was included in the list of defendants because he had criticised the “coup” that ousted Morsi. “To me even if you have a weak democratic process, it is better than a strong authoritative system,” he said. The death sentence has been referred to the mufti, the government’s interpreter of Islamic law, who plays an advisory role. Because he was convicted in absentia, Shahin would get a retrial if he handed himself in.